Johnny Murphy picked himself up off the playground, dusting red clay from his jeans. Mrs. Holmes signaled the end of recess, oblivious to the Fifth Grade War of 1956. He felt for the piece of lucky rock in his pocket and shot a look at Harris Henderson designed to convey one thing: after school Johnny would shut his mouth with a knuckle sandwich. It wasn't a rock, exactly, but the fossilized tooth fragment of an ancient whale. Johnny knew only what he'd been told: the lucky rock had saved his great-great-grandfather's life through numerous battles against the Yankees, most notably when it kept shrapnel from his femoral artery at Chancellorsville. Johnny's memories and those of his ancestors are part of my story. So are dinosaurs ripping prey to shreds and scattering bone, massive toothed whales floating above, tectonic shifts forming the Appalachian foothills and, later, me. Limestone crushed by forces so great they created the purest vein of white marble in the earth. The detritus of millions of years surrounded me, including Johnny's whale fragment. I slept peacefully, unaware. I knew nothing until the stories they told me, the pain they infused into my being, the weight of their sorrow. In 1867, Mary Lee Tutwiler begged her father, Horace, to do something to acknowledge her brother's death and the deaths of all the men who'd fallen in the war and were buried in faraway trenches. They had vanished, disappeared into the gaping maw of a hostile land. No government gathered their remains. No headstones marked their resting places. Mary Lee told her father it would help the grieving to heal if they had a memorial, a place to bring their flowers. Horace sacrificed his sons to defend their home, only to see it burned to the ground by Sherman. His wife died shortly after the war began. He'd long ago accepted the only thing to live for was his lovely Mary Lee. He and his neighbors had nothing of value, no way to create such a thing, but he promised her he'd try. 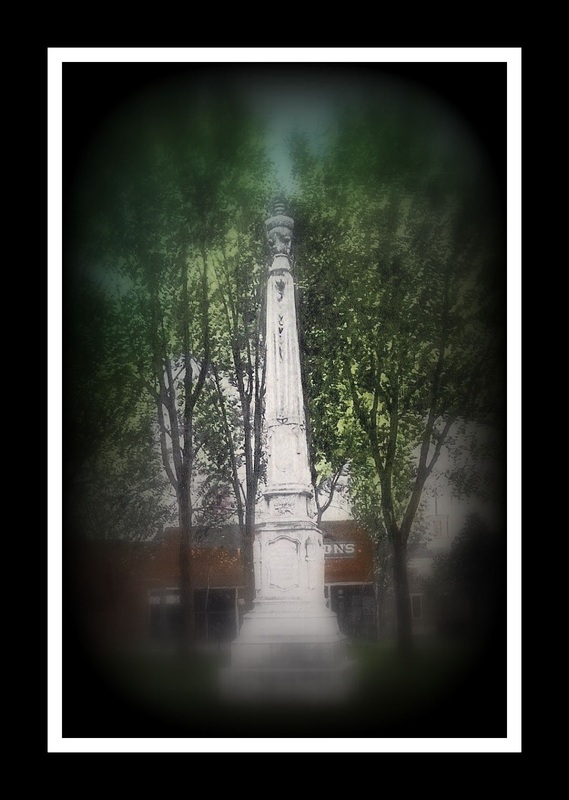 For three years the mothers, fathers, widows, orphans, daughters and sons of the Alabama town held ice cream suppers, strawberry festivals, and concerts to raise money for a monument that would cost over two thousand dollars. At last, in 1872, they could afford to summon me and watched in awe as an artist from Italy labored day and night to sculpt what had witnessed millions of years of history into history itself. Moretti and his assistants made me tall, a soaring column draped in requiem cloth, topped with a wreath. 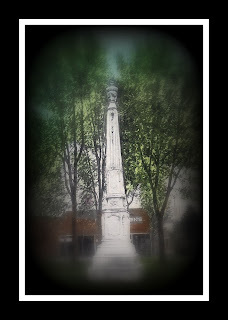 At the base of my pedestal is a dedication: To the memory of our sons fallen in service of the Confederate States. Hundreds came to my unveiling. They wept and touched my sides, the glorious headstone for the graves of thousands of men and boys. And so I came to know their stories, with each touch, each tear that fell, every bouquet solemnly placed to wither in the sun. Josiah was the father of a little redheaded girl named Amelia, whose widow Jenny died of a broken heart. Amelia lived with her grandparents. I saw Amelia grow up each week, always carrying wildflowers or some small object to lay at my base and step back to meet her grandmother's wet eyes. T. J. Jones had been a blacksmith for a short time when he went to fight. He fell in love with Esther in Tennessee as he recovered from injuries. Esther promised to marry him, and went to live with his parents until T. J. came home. He did not; they watched faithfully for him to walk up the winding drive. Esther tried to find out his fate with no success. She never married and stayed with the Jones family until her death. More and more came as time went on, some traveling from many miles away. Their stories are endless, each woven into my own with a touch, a sob, a handful of wildflowers. There were annual Memorial Days. They featured wreaths and songs and many an old man in gray uniform, dabbing away old man tears. Johnny Murphy's great-great grandfather, Jackson, was one of the few who came back to Alabama in one piece, alive and able. He brought his little boy to my side one bright April morning, squinting against the sun. He said, "Son, folks are going to tell you the war we fought was illegal. They'll try to make out like me and my cousins went to battle so we could keep our slaves. Hell, John, I ain't never owned no slave and I never thought it was right for any man, nossir. We determined to make a new country, Son. That's what it was all about for me and the ones that fought by my side. At least, at first it was." Jackson placed his hand against my inscription, tracing it with his finger. "Later on, we was fightin' to save our homes and farms and businesses from bein' burnt to ashes. So much is gone, John. So much is gone." He shook his head and pulled a three-inch-long rock from his pocket. "I want you to have this. My daddy gave it to me when I was little, and he told me it's a real piece of a tooth of a whale that swam over this land millions of years ago. Might look like just a rock, but I've always took good care of it, and it's always took good care of me. Saved my life, it did, blocking metal from openin' up my leg. I want you to promise me you'll keep it always, hear?" John, wide-eyed, took the fossil from his father and turned it over and over in his small hands. "I promise, Daddy. Did it really save you from gettin' killed?" "Yes, it surely did. I want it to be in our family, and I want you to tell your sons what it is and all that happened, and maybe their sons will know someday, too." 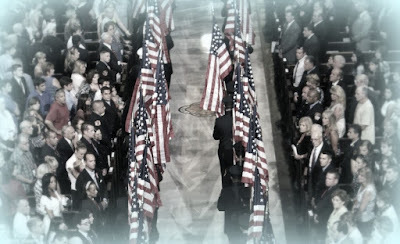 Jackson was one of the old men who came every year in uniform, hand over his heart and head bowed. The last time he made the trip he was supported on each side by his grandsons, strong young teenagers. One of them would die on the beach at Normandy. The other, Oscar, would start a family and pass down the fossil to his eldest son. They brought it with them on their visits, and the words were the same: never forget the truth. It was a long time before Oscar's son visited me again. I was worn, decades of rain and wind making my inscription faint. This one, John again, stooped to trace the words and run his hand up my side, flooded with memories. Oscar and his wife both contracted tuberculosis and left six children orphaned. Terrified and ignorant townspeople burned their house to the ground, believing they'd stop the spread of disease. John had rescued one thing from the ashes: the fossil he now took from his pocket and regarded as he remembered the story of his Confederate ancestor, Jackson. He walked to his car, parked near the courthouse, and returned with a wreath of brilliant blue gladiolas. He deposited it near the inscription and left, never to return. Johnny was a handsome young man with a family of giggling girls and a toddler boy in the 1970's. His wife, Carrie, flashed a warning look at her daughters and boosted her son David higher on her hip. Johnny led his girls, Mary and Julia Lee, to my side and began to tell them the story of my history and the history of their ancestor, Jackson. He showed them the fabled whale's tooth. Mary was polite but turned to ask her mother how much longer until they got to Six Flags. 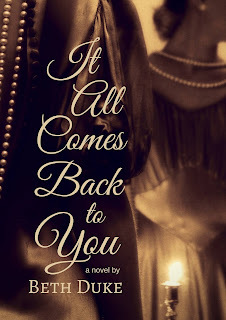 Julia Lee, serious and thoughtful, came so close I could feel her breath. She placed a tiny palm over a chip in my pedestal, as though she might effect healing. She turned and ran when her parents called her away. There were so many others. They did not cry. They rarely knew much about the ancestors who fought, only that they were deeply moved by their sacrifice, and didn't want them forgotten. Occasionally a history teacher would bring a gaggle of children and allow them to touch my smooth marble, unaware that I was listening. I stood solitary in the darkness as men arrived with giant lights and a crane. They covered me in tarpaulins and yelled instructions to each other, anxious and hurried. They managed to begin moving me from my place. It had become those words: my place. I felt the fracture in my base first; it spread quickly and shuddered me into three huge pieces. I fell and shattered as the men ran for shelter. They came with trucks and removed the evidence of their mistakes. They hauled me to a remote place and dumped thousands of pounds of broken marble back into a crevice in the earth. Julia Lee Murphy stopped where the GPS coordinates indicated and stepped into tall grass at the roadside's edge. She peered down the bank until she spotted a section of kudzu that barely concealed a white mound of dust and crumbled rock. She picked her way gingerly, watching for snakes and foxholes, pulling blackberry thorns from her jeans. She heard the cars and trucks roaring by overhead and glanced up. Julia Lee pulled the fragment of a whale's tooth from her backpack, tears streaming from her eyes. She placed it gently amid the white dust, the ashes of memory. She would tell her sixth grade students Monday. Maybe she'd bring them here someday, to listen. It's that time again, when ginkgo biloba trees practically glow yellow in the lucky parts of the Alabama landscape. They're special to me and my family, so much so that one made it into It All Comes Back to You. People often ask what inspired this or that in my books, and here's the story excerpt, followed by the real events. My grandmother sat perched on the edge of her bed, smoothing her ivory chiffon skirt nervously. She looked like a porcelain doll, even at ninety-two. Lucile was the kind of woman who could wear head-to-toe lace-trimmed ivory anywhere but a funeral and look perfectly appropriate. Her childhood was one of utter poverty. Her mother was widowed at a very young age and left with eight children to feed. My grandmother married at fifteen and bore her first child at sixteen. She read voraciously and was one of the best-educated people I knew, despite leaving school after eighth grade. She was warm, loving and beautiful. Lucile was adored by us all, the heart of our family. As a toddler my mother would ask if I wanted to go to "Mama's." I didn't know about the apostrophe, so I called her Mamas all my life. Mamas and Granddaddy were the center of the universe to their small grandchildren. We grew up pampered, encouraged, and assured of unconditional love. Granddaddy commissioned one of the first private in-ground swimming pools in the county for us to play in. He'd toss quarters into the deep end for us to dive and retrieve, a small fortune to us at the time. He would take me aside with a smile and hug me, whispering, "You're the best one I've got." I discovered later he did that with each grandchild, and loved him even more for it. They left Alabama upon retirement for a small Florida town. Granddaddy was a borderline diabetic, but he chose to ignore the diabetic part and cling to the borderline. We'd lost him to a heart attack many years before. It was my introduction to shattering loss, a time in my young life of utter confusion and despair. I stood outside and sobbed for an hour the night he died, asking God why he'd taken someone I loved so dearly. He was buried in Arcadia, Florida, and now his family was scattered across several other states. Mamas had made the painful decision to have his remains exhumed and returned to his Alabama hometown. She was planning a service to honor him all over again in a few weeks. As a result we were all thinking about the part he'd played in our lives more than usual. Today's mission—the one I couldn't bear to help with—was to locate a plot in the cemetery for Granddaddy with an adjacent one for Mamas. My grandmother planned a service for his reburial, and I was praying for the strength to help her through it in a few weeks. She was still in fairly good health, but her trips to the hospital were becoming more frequent. None of us could bear the thought of losing her. We lived in fear of pneumonia and broken hips. My mother poked her head into the room. "Are you ready, Mama?" Mamas nodded and I helped her to her feet, trying to contain my tears and act cheerful. She wasn't fooled. "It'll be hard, honey, but I'll be fine." She kissed my cheek and squeezed my hand before taking Mother's arm and heading for the door. I decided to clean house, my least favorite activity, to distract myself for the next few hours. I thought about the cemetery, wondering if they'd be able to find an acceptable space. I hoped my grandmother was feeling strong and faithful in her decision to bring Granddaddy home after almost thirty years. It was a very expensive and complicated process. Some people had openly questioned the idea, and she'd cried and prayed over it for months. Mamas had discussed her feelings with me several times. I'd encouraged her to follow her heart no matter what anyone said. 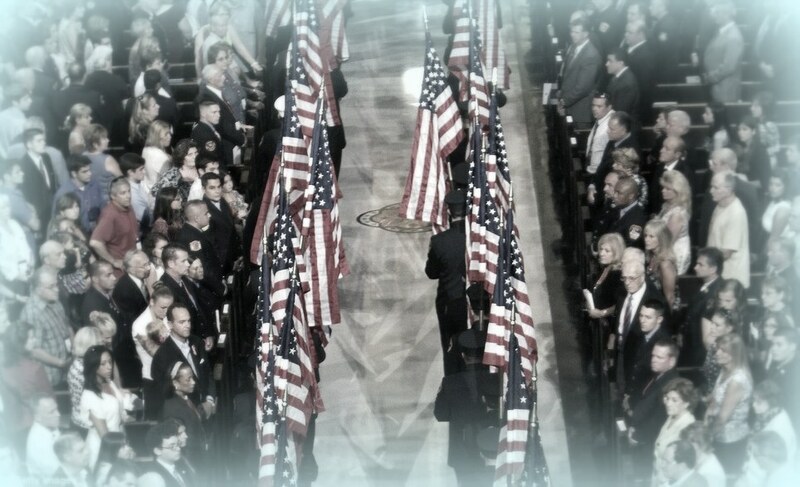 It was to fall to me, the only grandchild able to attend, to represent all of my cousins that day. She wanted me to place a rose on his new grave as part of the ceremony. Burying Granddaddy again would be one of the saddest things I'd ever experience, but it was right to have him next to her for eternity. When the phone rang, my mother’s excitement made me throw the dust rag down and collapse into a chair to listen. I pictured the three-foot-tall twig I’d known as a small child, carefully surrounded by sturdy wire fencing and forbidden to grandchildren. Granddaddy had fussed over it constantly but we never saw a single ginkgo leaf I could recall. The tree was a running joke; something to kid him about. He never gave up trying to make it grow, and it never obliged. On a whim, Mother and Mamas had driven out of their way to visit the house my grandparents lived in during my childhood. The neighborhood we remembered was gone. Dilapidated houses remained with yards gone to seed. No children ran and played here; no one remained from the time we'd known and loved this as the warm, happy place we cherished in memory. "It's the one beautiful thing here, Beth. It's at least thirty feet tall, and so very pretty. Your granddad would be so thrilled. Think how he fussed over that silly twig every day." We laughed a little, remembering the constant joking over his tree obsession. We chatted for a minute about our memories of that place and how magical it was for all of us. Mom took a deep breath and said they needed to get to their appointment at the cemetery. "I love you, Mother. Give my love to Mamas. 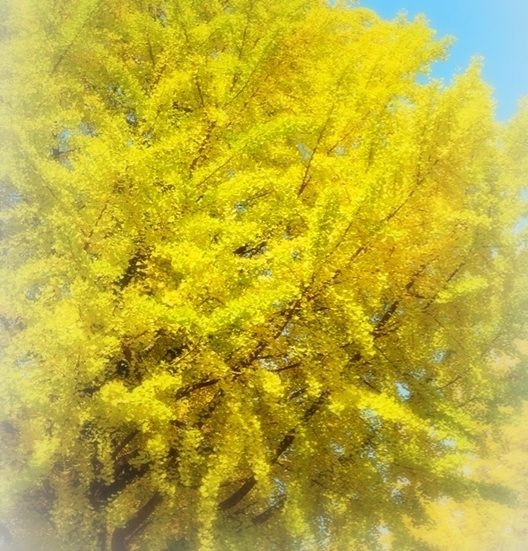 I'm so glad about Granddaddy's ginkgo." I closed my eyes and pictured all the cousins arrayed on the steps of that house, we girls in ruffled Easter dresses with legs akimbo and most unladylike. I remembered the rare winter when the pool froze over and we "skated" across it in socks. The hours and hours we'd spent playing at my grandfather's desk, pretending we were businesspeople. The joy of gathering at the table to play hours of Rook, munching on popcorn Granddaddy popped atop the stove. Gathering pecans in the side yard, helping my grandmother water her beloved flowers. Every bit was as vivid as yesterday. Still, I was trying to catch the wisp of something long forgotten. The tree. Something about the tree. It had to have had some special significance, the way Granddaddy fussed over and protected it. It was a story I'd been told as a young girl, not fully understood or appreciated. Tears rolled down my face before I even realized I'd remembered. Before I was born, my grandmother had thyroid cancer. Her future was uncertain at best and the family was terrified of losing her. Autumn was bleak. Mamas grew depressed and defeated, too weak to do anything but lie on the couch. My mother spent endless days caring for her, praying for a miracle and trying to make her smile. Mother still hates autumn to this day. She experiences it as a time when the world is dying, turning to dull brown and losing its summer joy. I have no doubt her feeling is rooted in that dark season so long ago. Emory University Hospital in Atlanta was my grandmother's best option for treatment. It lay two hours away, but Grandaddy took her back and forth several times a month. It was a grueling time for her; my mother told me Mamas had been offered little hope for a cure. 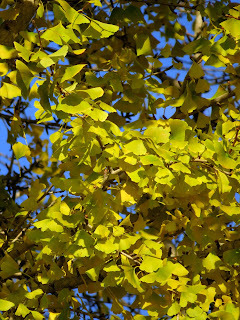 In mid-November she saw the magnificent ginkgo biloba trees on the Emory campus burst into color. She was fascinated by the delicate fan-shaped leaves and their brilliant golden canopy. They transformed the plain landscape; they welcomed her each time to the doctors and nurses who worked so hard to heal her. Grandaddy saw the light in her eyes when she looked at them. He did what any man in love with his wife would do, though it took him on a lengthy and difficult search in 1950's Alabama. Somehow he located a rare ginkgo and planted a tiny sapling for her, a symbol of his love for Lucile and his hope for their future together, right in that modest Alabama front yard. His proudest legacy—children, grandchildren and great-grandchildren—had scattered like fall leaves across the south and never beheld what became of his precious little fenced-in plant. We'd forgotten it, lost among the memories of family laughter and love. Granddaddy had lived in Florida for many years before he went home to God. He never saw the ginkgo biloba soar to its towering glory for the world to behold, but my grandmother did . . . at the perfect, breathtaking moment. And she knew without question she'd made the right choice to bring him home, to the place and the woman he'd always love. I like to bake, to get lost in the artistry of cakes or macarons, but cooking...not so much. What I do enjoy is watching other people cook. 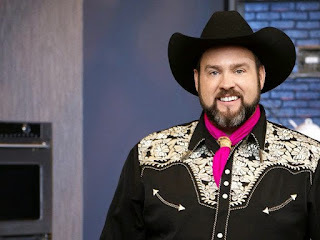 I have binge watched almost every season of Food Network Star for this reason. The cooking tips are fabulous, the personalities captivating, and nervous breakdowns more pleasing because they're not my own. The Food Network knows what they're doing here: parade a bunch of innocent, fresh-faced, talented chefs in front of viewers. Frame them as the culinary genius, the best on camera, the stupid one, the arrogant one...every reality show stereotype you can conjure. Spice with cool judges like Giada De Laurentiis and chef-stud Bobby Flay. Mix well and bake for umpteen episodes, carefully scooping out the burnt bits. Serve up a new Food Network celebrity on a silver platter, garnished with a tv show deal and cookbook publicity. Think: Guy Fieri. It's a win-win for obvious reasons, like the American Idol franchise was for 19 Entertainment and Fox Television Network: bring some talented people out of obscurity, let the country fall in love with them, choose a winner and voilà (bam!). You just created a new on-air personality, guaranteed viewers, a show concept, maybe an aisle or two of merchandise that will create bigger lines at the local Walmart. Except for the ones viewers fall in love with that simply (whoosh) disappear. The stars that are sucked into a black hole. 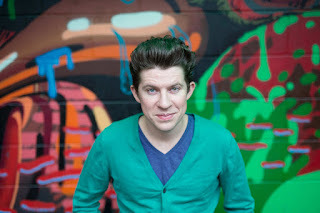 I developed an emotional connection to Justin Warner over the last two days. He's a culinary Mozart, a wunderkind who appeals both to my inner nerd and quirky-people-lover. Fascinating to behold onscreen, he created dishes from fish bones and bat wings (that may be only a slight exaggeration) that looked and tasted fabulous. He made a modern Caesar Salad with a gelatinous mass that sorta melted over warm greens. And he was fun to watch. Genuine, witty, dry as a week-old pancake on the beach. I loved him. He won Season 8, and was to have a new series of his own produced by Alton Brown (my cerebral celebrity chef crush). He went off into a black hole (Black Forest?) instead. You can find no way to watch the mysterious one-hour special he starred in before he vanished. Word is, he appears in a fairly obscure internet-only series of little video clips titled "Foodie Call." Big props for the title, but who has time for that? Viewers who got all invested and weepy are left to wonder: what the hell went wrong? Why isn't Justin, a self-proclaimed food rebel, starring in an actual Food Network series in my tv every single week with episodes like Rebel with Hot Crab Claws? There's another one, though it's easier to understand: Season 10's Lenny McNab, a "cowboy chef" who aww-shucks-ed his way into the hearts of millions and won with his easygoing personality and stunning food talent. Until discovery of his old social media posts that would make Harvey Weinstein blush. He apparently even insulted the overrated but beloved Pioneer Woman. (See: Walmart, Aisle 16). Then there are people you love who didn't do a damn thing wrong, deserved to win, and would eclipse that pioneer lady back onto the prairie. 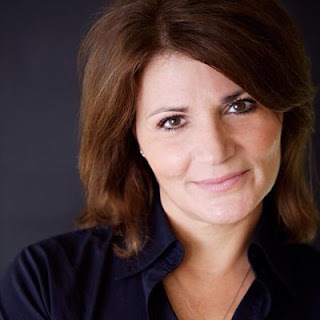 Birmingham, Alabama's own Martie Duncan is brilliant. Not only a talented chef, she specializes in parties and fun and laughter and all the things entertaining is meant to be. She represented my home state with grace, beauty and intelligence. Martie should be in my living room on a regularly scheduled Food Network basis, making me feel like I have a caterer, decorator and bartender on speed dial. She says she can do that, and I don't doubt it for one second. Just stop it, Food Network. Stop creating stars and banishing them to another galaxy. Viewers like me want more—much more—of fan favorites like Justin Warner and Martie Duncan. Lenny McNab...well, you can keep him orbiting out there with Pluto. Anything less would cause the little kitchen on the prairie grief, and no one wants that. Write a blog post, they say. Make it connected to your new book's characters. Okay. 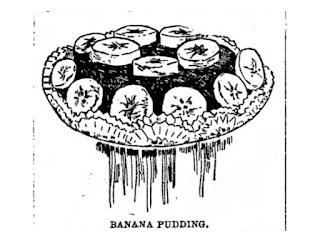 Nothing is more captivating than the words "banana" and "pudding" together. There may be controversy about a few things in The South, but we are in complete accord about banana pudding. Your Aunt Mary Nell brings it to every gathering. Your relations muster some whenever a family has someone in the hospital or loses a loved one. And in IT ALL COMES BACK TO YOU, Violet and Ronni both adore it. That may not be mentioned in the book, but they do. Trust me, it's a foregone conclusion. There are people who will tell you banana pudding originated in the North. Those people are lying. Now it's true, they had bananas when bananas were a luxury for Southerners, but they did unspeakable things with them. Like this. 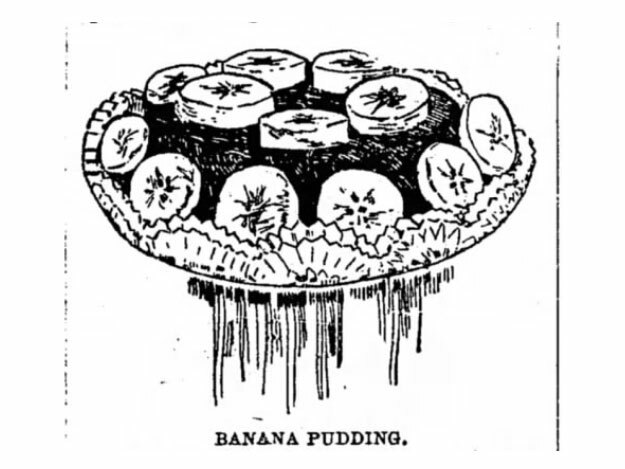 In 1921, (we refer to this as "The Industrial Wafer Revolution"), a Mrs. Kerley in Indiana or Illinois or one of those I-states contributed a recipe for a banana pudding with Vanilla Wafers to a newspaper, while a Mrs. Smith invented a banana pudding with Vanilla Wafers for the Atlanta Women's Club cookbook, Pastries, Puddings, and Dumplings. And that is a cookbook title after my own heart. Y'all hush. They weren't called Nilla Wafers until later. Mrs. Smith's recipe was way better, bless Mrs. Kerley's heart. Anyway, in the 1940s The National Biscuit Company (apparently the U.S. was still British enough to call what are clearly cookies "biscuits") published the now-classic recipe on the side of its Vanilla Wafers box, the whole shebang, with one metric ton of wafers, a creamy custard to cradle the bananas lovingly, and a meringue slathered all over the top. Serve it hot or cold. Earn the eternal affection of your family. This is how it's done, folks, and I guarantee you, Violet would've eaten plenty of this in 1940s Alabama and Ronni is still eating it somewhere. As for me, I'm a heretic. I like my banana pudding the way my mom and my daughter prepare it (you notice I'm not doing the heavy lifting here): not baked, with chilled pudding. Here is the most fabulously exciting part of this blog post...my friend Marianne and I are going to the NATIONAL BANANA PUDDING FESTIVAL next month. Yes, this is a thing. Be very jealous, because they have a Puddin' Path, this glorious gift from God where you pay $5 and taste a plethora of pudding. Grab a hankie—you may have to dab the corners of your mouth—the featured flavors this year include: Moon Pie Banana Puddin', White Chocolate & Caramel Banana Puddin', Puddin' and Pearls Banana Puddin', Caramel Cheesecake Banana Puddin', Eagle Brand Banana Puddin', and many more. None of these flavors are heretical. They would only be heretical in an I-state (just kidding, y'all). I fully expect to see some version of Ronni there, and I know Violet will be at the banana pudding festival in spirit. She'd have loved it, and probably would've been crowned Puddin' Princess (I made that up, but they should have one).